The unique thing about the sport of golf is the weather conditions. For most of you around the world, you’re going to play in some perfect conditions, some wet conditions and if you’re a true nut, some just awful conditions. For example, I currently live in Tampa, Florida. I am a member of Pebble Creek Golf Club, which is 6426 yards long, with a slope of 127 and a par of 71. In the winter, when the course is fast with good greens 66 is a good score, whereas during our monsoon summer, when the course is very wet and greens are slower, 71 or 72 becomes a much better score. Recently I did an analysis of the AJGA schedule, looking closely at the average yardage and winning score. This data, published in the article An analysis of junior golf events, and how to build your summer schedule on GolfWRX suggests that players (both boys and girls) need to average approximately 69 per round to win on the AJGA on 6800 yards for boys and just under 6000 yards for girls. When considering these numbers, keep in mind that most of the events are played in the summer when the weather and course conditions are ideal for scoring; 6800 yards on a dry fast golf course in the Texas summer really is not that long! How much of a difference does the weather make? According, to Paul Wood of Ping, "many people don’t realize how dramatic the difference in ball flight can be due to changes in environmental conditions. In hotter temperatures, the air is thinner and so the ball flies farther, but also flatter. The difference between a 50-degree day and a 100-degree day can easily be 15 yards in the air for a fairway wood." "This effect is even stronger for altitude. At mile-high golf courses, such as where the WGC Mexico tour event is played, the ball can fly 20-30 yards farther in the air. The thin air can make driver shots 'fall out of the sky' so it can be advantageous to play more loft on the driver to maximize flight." "Humidity doesn’t affect ball flight very much at all, but it makes the air 'feel hotter' and so on a humid day players don’t see the ball fly as far as they think it should. Finally, the hardness of the fairway can make an enormous difference. As highlighted by the recent Open Championship at Carnoustie, hard fairways can add 50 or more yards to a drive than soft fairways, assuming you stay on the fairway." "Understanding the effect of course conditions on your ball flight is a very important tool for a golfer, and the environment can make a seemingly short course play long or vice versa." Beyond the weather, another factor is the wind. In Mike Bender’s Competitive Player Play Bookare complete charts for playing both into the wind and downwind. 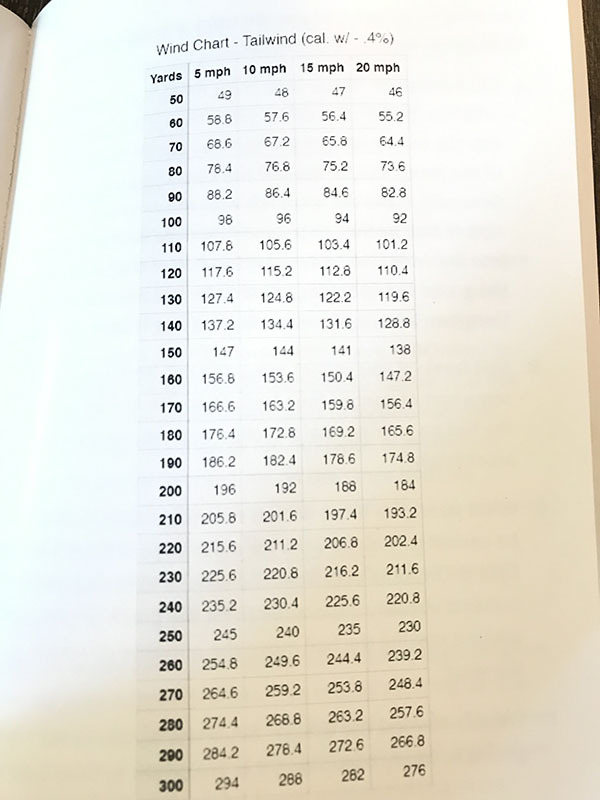 It is my opinion that these charts are extremely accurate, and any competitive golfer would be wise to not only learn the charts but also purchase the book and use it as a reference. 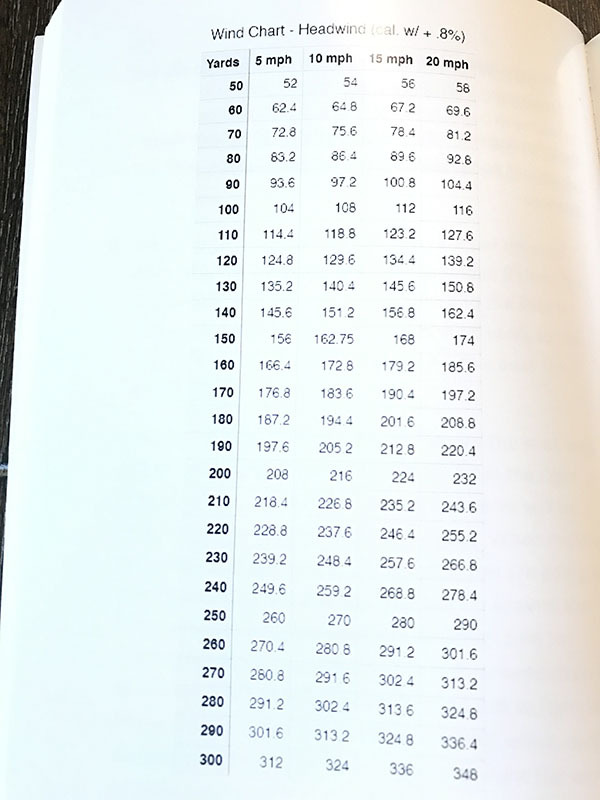 The data provided by Mike Bender and Paul Wood should be used as a framework for junior golfers and coaches to ensure that players face the right level of difficulty. When setting up the course it is important to remember that good scores beget good scores, so if you are going to err, I would suggest you err on making the course shorter rather than longer with the goal of averaging par or better each round. Since golf is so cyclical, this may mean having several months where you play 6400 to gain confidence when going through a swing change or a drought in confidence. In my opinion, it is better to err on the side of playing shorter courses, ingraining the pattern of shooting scores which will help you be competitive in tournament golf, then playing longer courses. As always, if you have any feedback on this article or a story idea, please feel free to reach out to me! Always love hearing from people and helping them connect with schools that meet their academic, athletic, social and financial needs!